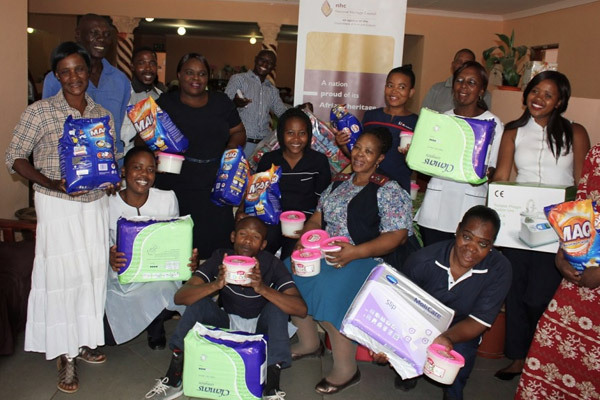 On Tuesday, 07 November 2017, the National Heritage Council of South Africa (NHC) handed over goods to the value of R10, 000.00 to Wisane Old Age Home in Hamaanskraal. Sanitary ware, adult nappies and a Blood Pressure testing machine are some of the goods requested by the old age home for the occupants. Nelson Mandela Day is an annual international day where the late South African President, Nelson Mandela is honoured on 18 July by doing good in their communities. “Doing good should not only trend on 18 July but be part of our everyday lives for sustainable communities and nation building” said Adv. Sonwabile Mancotywa, Chief Executive of the Council. Adv. Mancotywa said that the Council encompassed Nelson Mandela Day within the Council’s annual Ubuntu Programme. Through this programme, the NHC reaches out to non-profit-organisations in all nine (9) provinces looking for assistance to amplify their contributions to the needy in their communities. “The values of ubuntu, selflessness have the possibility of bringing about enduring change and developing sustainable communities”, said Mancotywa. 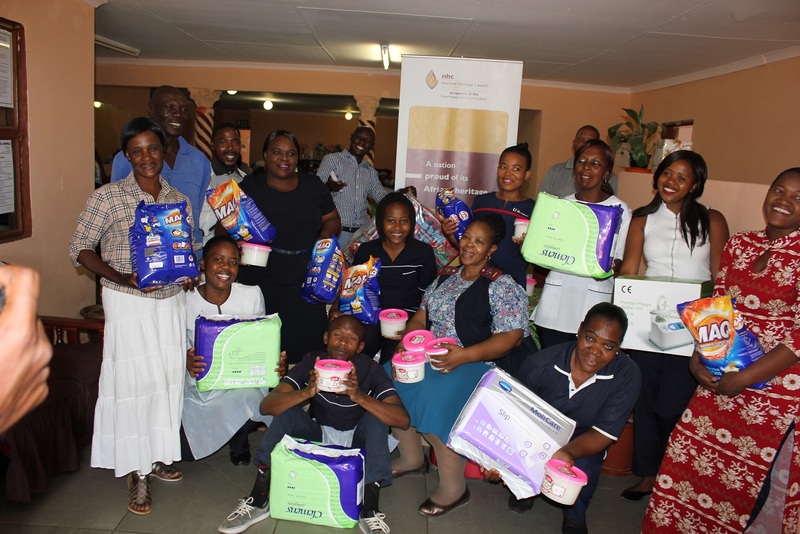 Over and above the donated goods to the Wisane Old Age Home, the NHC staff spent 67 minutes of their time to bath, clean and feed the elderly. “All of us at Wisane Old Age Home and Hospice, are humbled to have been one of the National Heritage Council’s identified NPOs and highly appreciate every little contribution that has been afforded to us today. May you continue doing good to others”, said Mrs Bilankulu, the NPO founder. Wisane Old Age home and Hospice based in Hammanskraal north of Gauteng, founded in 2016 to care for elderly. The NHC has donated proposed goods to the value of R10, 000.00 each to the following communities in Mpumalanga, Limpopo, Northern Cape, North West and Gauteng. To become a beneficiary of the NHC’s Ubuntu Programme, the Council calls on registered NPOs who are involved in community upliftment in the following provinces; Eastern Cape, Kwazulu Natal and Western Cape, to send proposals with a list of beneficiaries’ needs as well as NPO registration certificate to heritage@nhc.org.za before 28 February 2018.